Dr. Howard Chasolen graduated from the University of Medicine and Dentistry of New Jersey in 1991. He earned a specialty certificate in Prosthodontics and a fellowship certificate in Implant Prosthodontics from the University of Pittsburgh School of Dental Medicine from 1991 to 1994. He is a Diplomate of the American Board of Oral Implantology and a Fellow of the American Academy of Implant Dentistry. 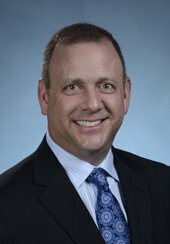 He is a Past President of the Florida Academy of Cosmetic Dentistry, The Florida Prosthodontic Association and The Sarasota County Dental Association as well as being appointed to the faculty at the University of Florida in the Graduate Prosthodontic Residency Program. He has restored over 20,000 units of crown and bridge, 1000 full arches, and 10,000 implants. His practice is limited to Prosthodontics and is located in Sarasota, Florida.